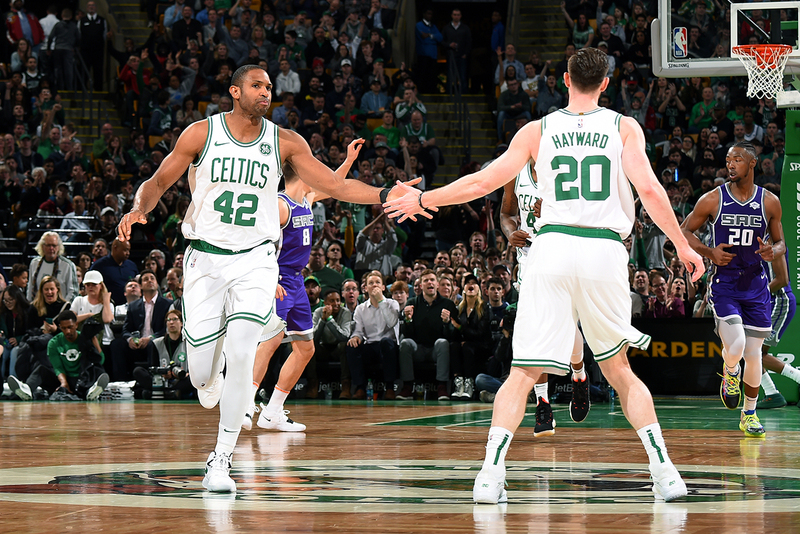 For the second time this season, the Celtics came away with a close win over the Sacramento Kings. This time around, the Kings played at the Garden. Boston had everyone ready to go and surely did not disappoint the home crowd. The Cs took care of business, defeating the Kings 126-120 to improve to 42-27. The first basket of the game was scored by Celtics center Al Horford to give the Cs the 2-0 lead. After that Sacramento’s Harrison Barnes scored seven of their next eight points and helped the Kings take a 13-point lead over the Cs at the end of the first quarter. The Cs were in a tough spot, but not anything they couldn’t overcome. From the second quarter on, the game shifted from a Kings-dominated game to a Celtics-dominated game. Jaylen Brown scored the first points of the second quarter to bring the Cs within 11. Boston scored 31 points in the second quarter to counter the Kings’ lead from the first. Led by point guard Kyrie Irving’s nine points in the second, the Celtics were within reach and only down six points. Moving into the third, the Celtics really began to make the game theirs and take control. They combined for 37 points to Sacramento’s 29 and took their first lead of the game since early in the first quarter. Brown made to back-to-back threes with a minute left to give the Cs the momentum to close out the half. 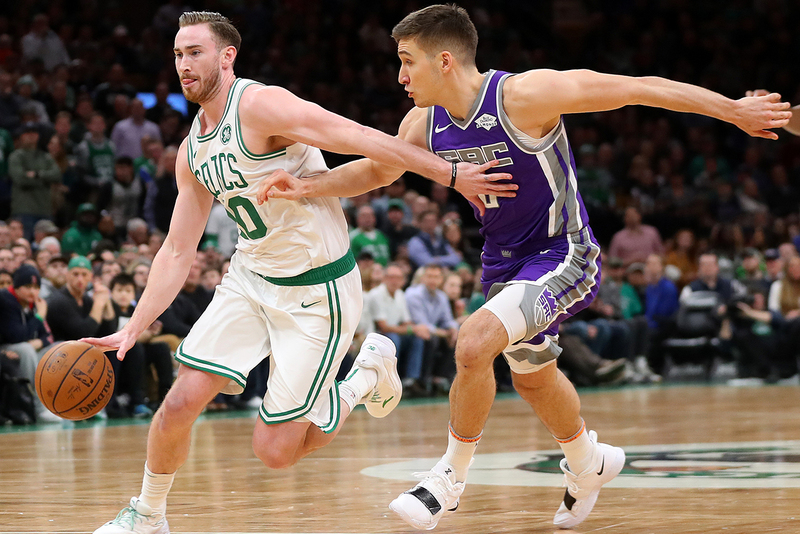 Then it was Boston forward, who Gordon Hayward shot 100 percent from the free throw line, scoring four points in the third, including a jumper to end the third quarter and give the Celtics the lead 93-91. The opening minutes of the fourth quarter were crucial to turn the tide in Boston’s favor. Horford made a 27-foot three-point jumper with the assist coming from Hayward. 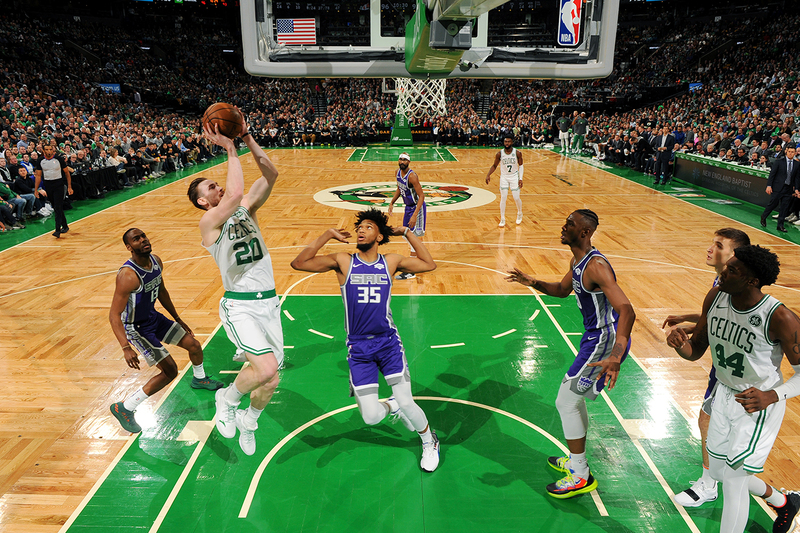 Then, Hayward continued the Celtics scoring trend, adding six of the Cs next eight points. After making another two free throws, Boston led the Kings 104-97. Irving took the game into his own hands, helping his team pull away with a lead the Kings couldn’t stop. Irving scored another seven points in the fourth quarter to help the Cs win their second-straight game against the Kings 126-120. The Cs had six players with 10 points or more in Hayward, Irving, Brown, Marcus Morris, Jayson Tatum and Horford. Kyrie Irving had himself a night with a 31-point triple-double. In addition to Irving’s 31 points, he had 12 assists and 10 boards. That performance, coupled with another great showing from their deep bench, really continues to show how dangerous this team can be come playoff time. Morris finished the night with a double-double with 21 points and 13 rebounds. The team played fluid offensively and played selfless basketball Thursday night against the Kings. The Cs comfortably hold the No. 5 spot in the Eastern Conference with the Brooklyn Nets 6.5 games behind in sixth place and the Philadelphia 76ers 1.5 games up at fourth. The Cs host the Atlanta Hawks (24-45) in the Garden on Saturday. Tip-off is set for 12:30 p.m. ET and will air on NBSB and FSSE.